while still waiting for Mark coming home from his honeymoon trip to make some progress regarding the chassis I thought it´s a good idea to do another step forward in the meantime by doing a job that I could probably handle by my own. After the generator turned out to be the old original and –even better- to be restorable, I was curious if I would be lucky again in a similar case. 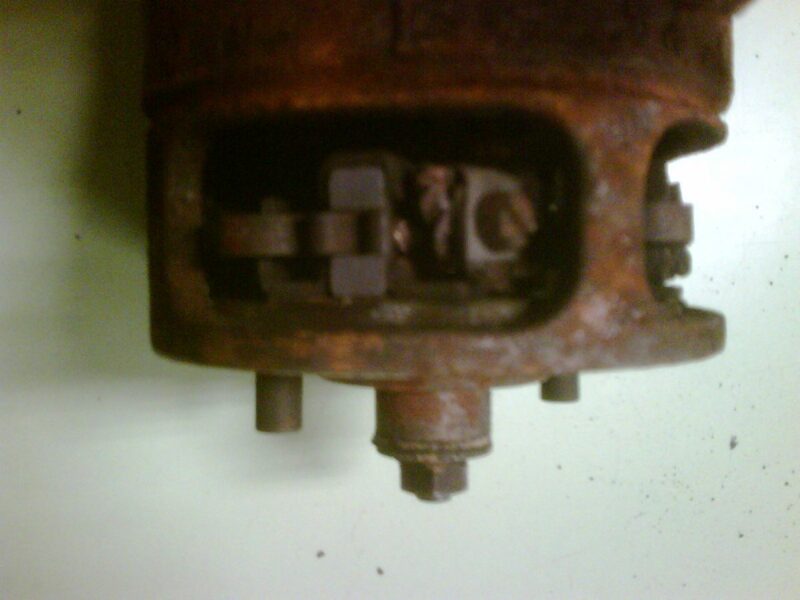 So I had a close look on the starter. Same story as the generator, first of all we have to clear if it is the real original one, cause investing time, work and money in a rusty piece which isn´t even original doesn´t make sense. 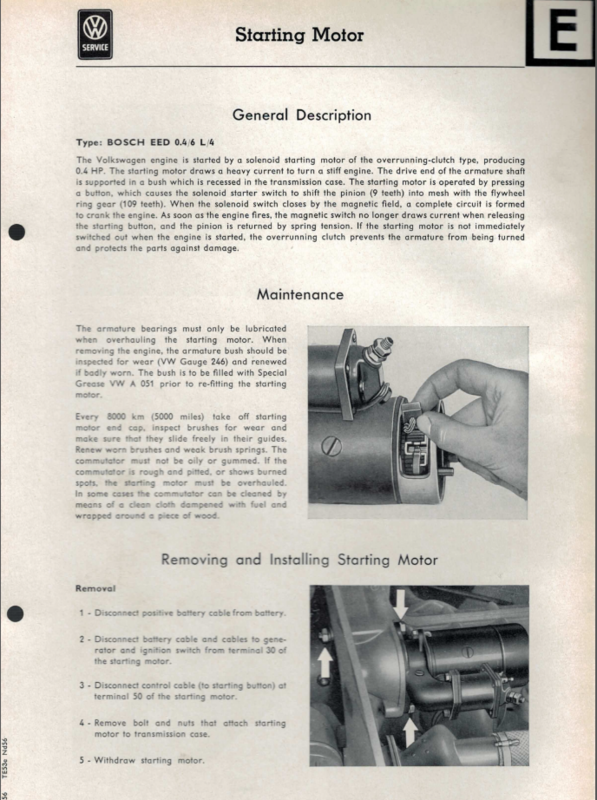 So let´s see what the 1954 workshop manual has to tell us about starters and if there is a picture and a part number which can help to identify the piece and to judge about its originality. 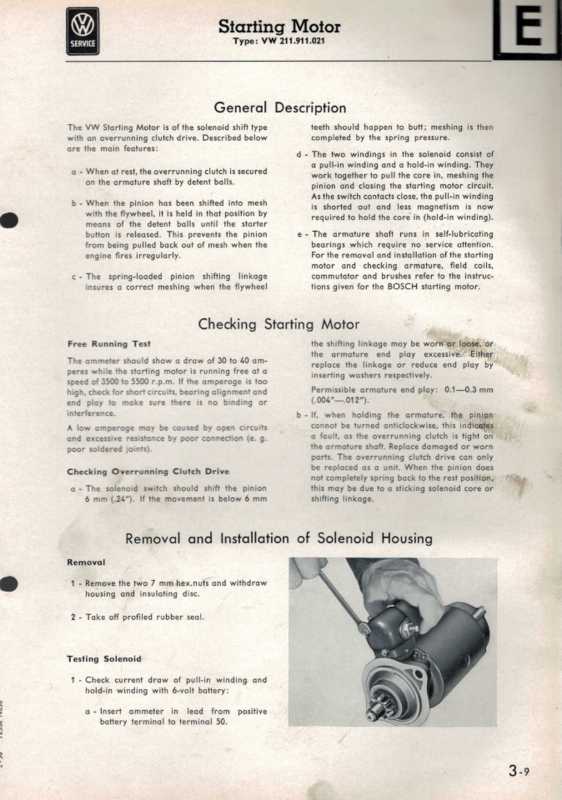 Again, the manual shows two different starters for early Barndoors. 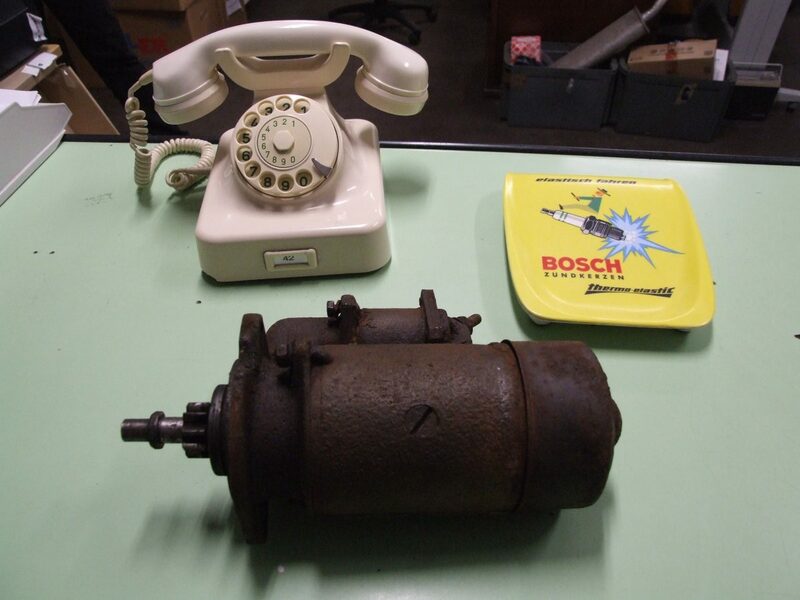 Again the Bosch item must be the older one, because the VW 211 911 021 one comes already with the nine digit part number, which did not exist in 1951 when our Samba was build. Bingo! Lucky again! It´s the correct Bosch one! Not too bad! In fact pretty good! It´s nearly clean inside and the brushes are still good, there isn´t even a need to replace them. 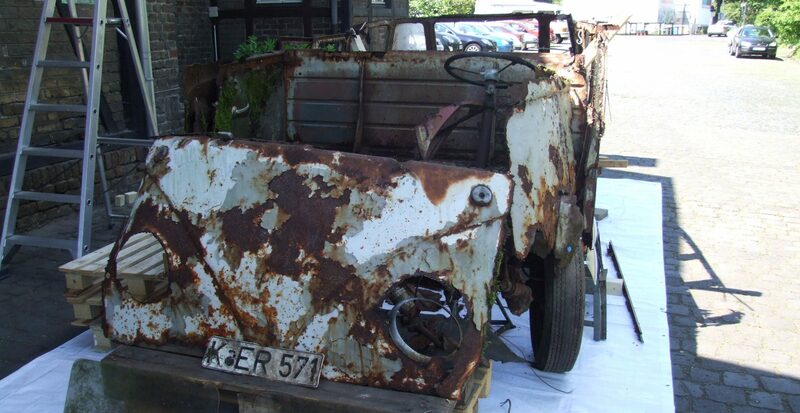 Here we have another proof of the theory that the Samba didn´t drive too many kilometer in its first life. If the starter is still the original one and the brushes do look good as these ones here, we can call the Bus a “low-mileage-car”, too bad some idiot left the Samba outside to rot to death! What could have been the reason to dump a probably good car in the mud? OK, a 1951 Bus was pretty “old” in 1961 when the current Busses came with a much more powerful engine, much better brakes and a full synchro gearbox, but still it was a Samba –the most expensive Volkswagen Bus you could buy back in those days. At least it would have been worth a technical upgrade. Fitting a new engine and the full synchro gearbox wouldn´t has been such a big deal. Many people went this way, why did the Samba´s owner decide to let the Bus die? Anyway, now it´s my turn to bring the Samba back to life and the starter seems to be easiest job so far. I cleaned it inside, washed the bearings and applied some new grease on the moving parts. Grinding the bolt for the big red power cord and the screw for the red cable 50 coming from the ignition lock will be another step to eliminate future 6-Volt-electricity problems. What more could I do? Don´t say: “Sandblast and paint the starter housing.” Keep in mind the philosophy of this reconstruction: The old and rusty original parts will stay the way they look to show the Samba´s history and to help identifying what is an original and what is a replacement. Now let´s see if the starter works! I better don´t practice a common fault when it comes to test a starter. 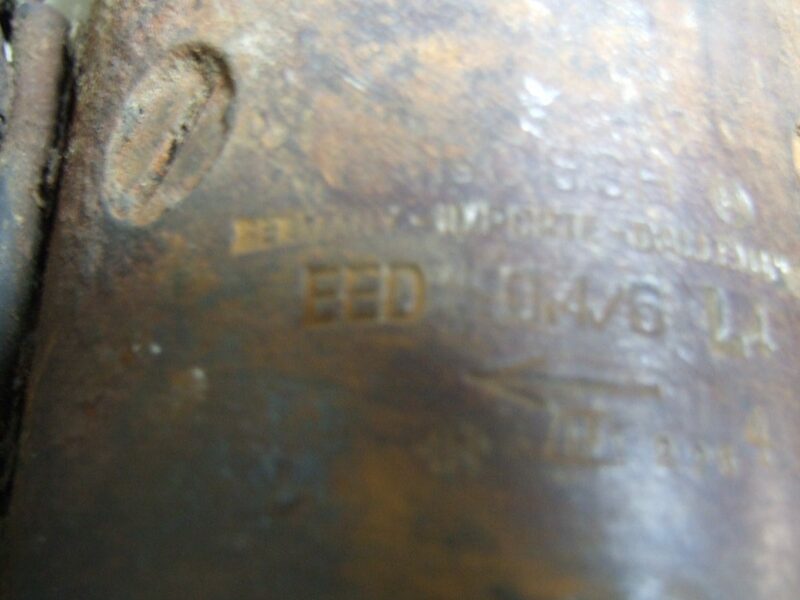 Never fire a starter up without sticking the starter´s shaft in a correct placed bushing! Bolting it to an old pre-1966-gearbox will avoid damages inside the starter by a free wiggling driving shaft. 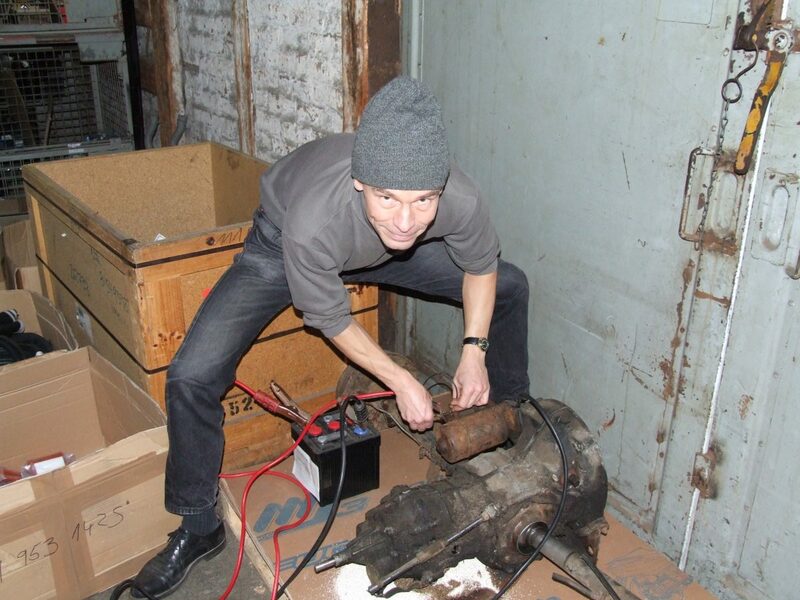 Now connect the starter to a battery, bridge pole 30 to screw 50 and…….. it runs! After 56 years! What a nice feeling a piece of the Samba shows a bit of life again. A good motivation to keep on working on this epic project. ⟵Generating some knowledge…. and another little step forward!